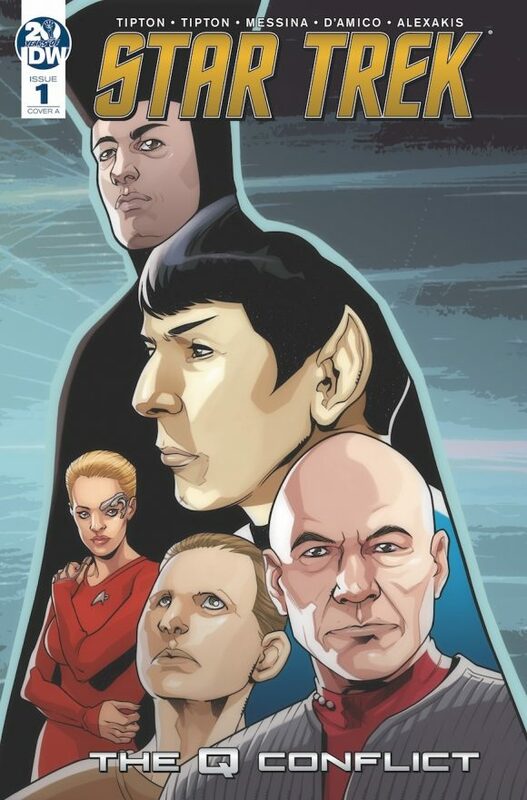 IDW this week is launching its latest Trek miniseries – The Q Conflict, by 13th Dimension contributor Scott Tipton, his brother David, penciller David Messina, inker Elisabetta D’Amico, colorist Alexandra Alexakis and co. 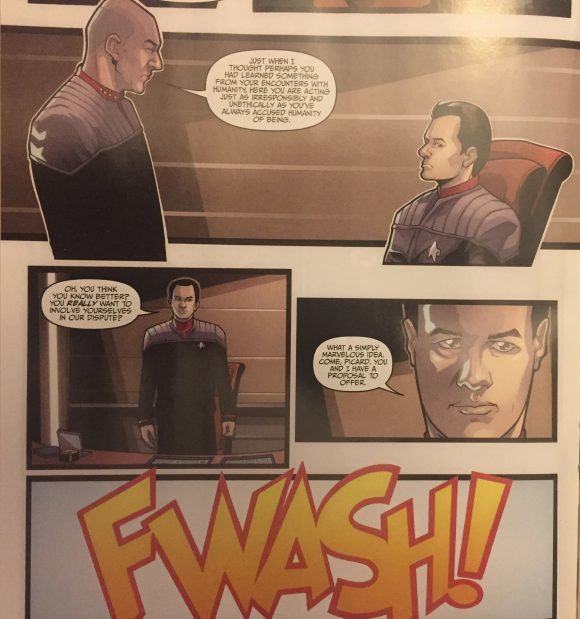 In tandem with that, Scott’s come up with the TOP 13 Q MOMENTS FROM STAR TREK. As expert Robert Meyer Burnett has pointed out, Star Trek doesn’t really have villains, it has antagonists. 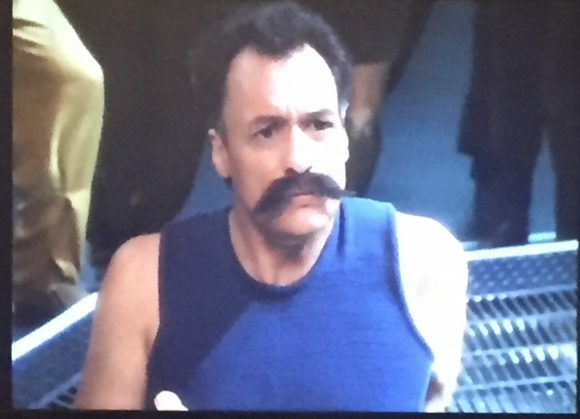 These aren’t mere mustache-twirling “bad guys,” but adversaries who nonetheless have a perspective, a point of view, that leads them into opposition with our valiant Starfleet heroes. 11. Q Gets the Point. 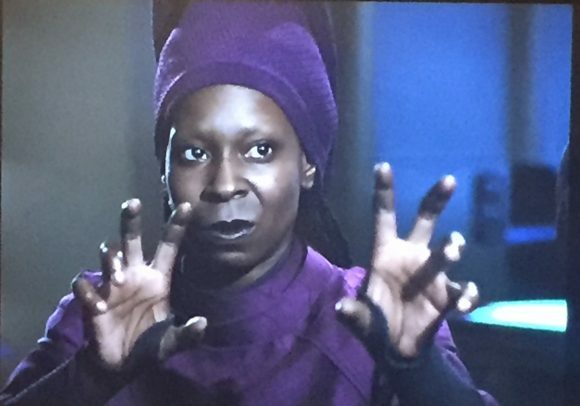 This hostility toward Q would resurface with Guinan again in the third-season episode Deja Q, in which Q has been stripped of his powers and flees to the Enterprise for sanctuary. 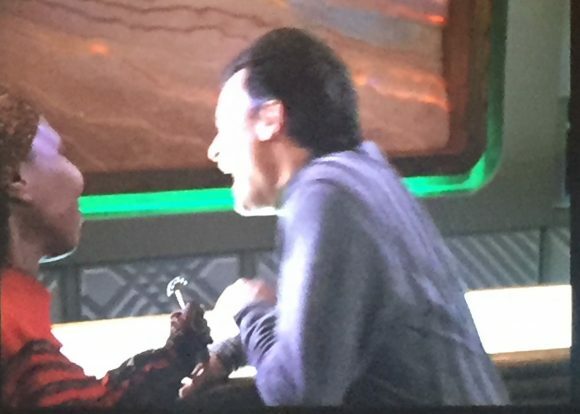 Guinan has doubts that Q is really mortal and determines so in the simplest manner possible: by driving a fork into his hand. 10. Another Try at Humanity. This isn’t my first opportunity to write for Q. 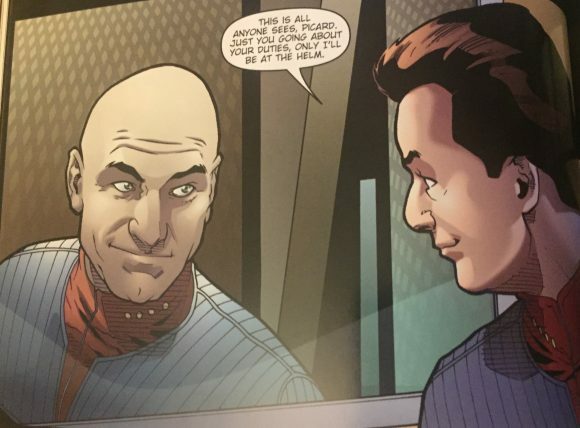 A few years back, my co-writer David Tipton, artist Elena Casagrande and I got to tackle Alien Spotlight: Q, a tale in which Q returns to once again get a taste of what it’s like to be human, this time by taking over the body of one Jean-Luc Picard. Q soon finds out that even the smallest of interactions isn’t quite as easy as he’d imagined. I’m really fond of this little one-shot tale, which can be found in the trade paperback Alien Spotlight Vol. 2. 9. Q-de-Lally! 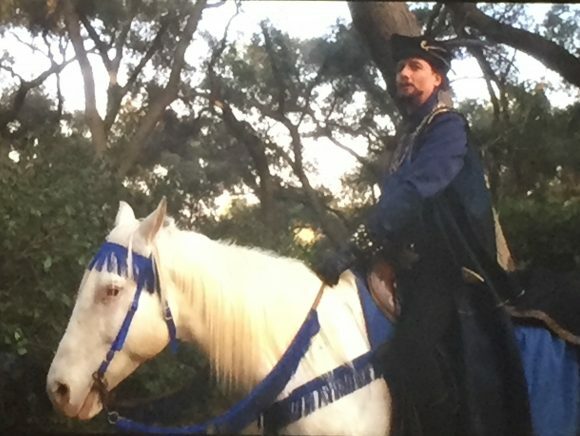 His powers returned, Q was back to his old tricks in the fourth-season episode Qpid, in which Q transports Picard and his crew back to the days of Sherwood Forest, where they take on the roles of Robin Hood and his Merry Men. Naturally, who else would Q play but the Sheriff of Nottingham? 6. I Only Have Eyes for Q. 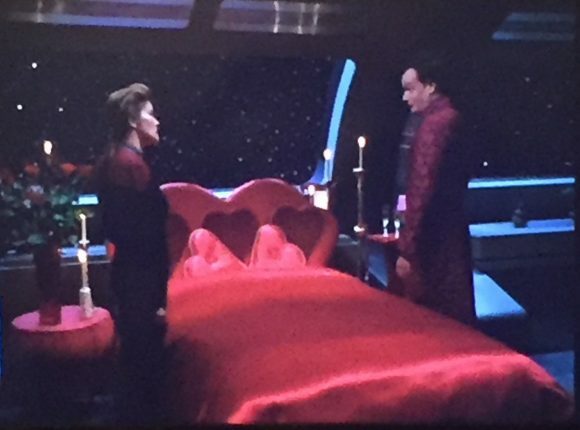 Things would get even weirder with the other Starfleet captain Q would encounter — Kathryn Janeway of Star Trek: Voyager, in the third-season episode The Q and the Grey. 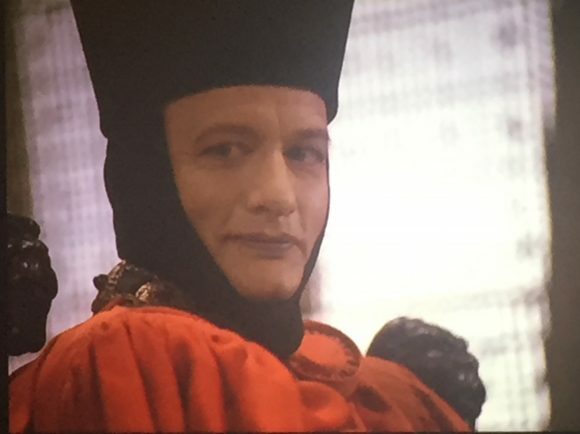 Determined to sire a child to combine the best elements of humanity and the Q, Q makes an effort to seduce Janeway that is as hilarious as it is fruitless. 4. Ay Qaramba! 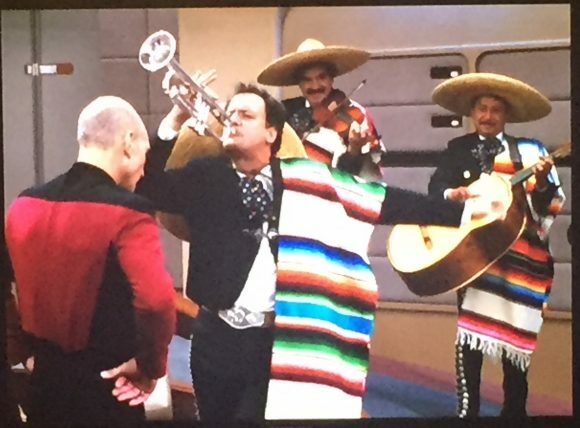 For sheer yucks, nothing is better than the hilarious moment when Q regains his powers in Deja Q and decides to throw a party on the bridge, complete with a mariachi band. 3. A Final Test. In the final episode of TNG, All Good Things, Captain Picard is forced to solve a mystery across three distinctly different periods in his life, hurtling back and forth between them thanks to, as always, interference from Q. 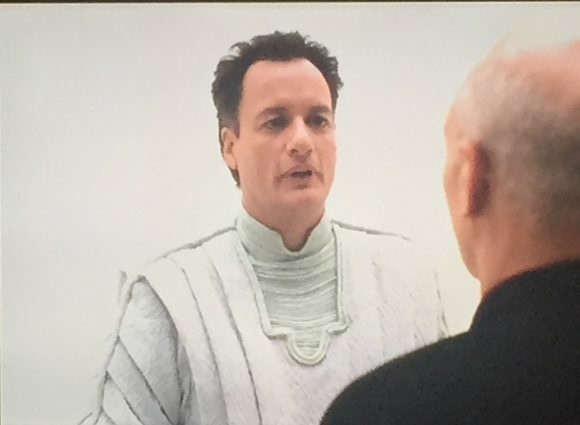 At adventure’s end, when Picard succeeds and finds himself back in the courtroom from their first encounter, he thanks Q, realizing that Q had been subtly helping Picard all along. For the first time, we see genuine affection in Q’s face, as he admits, “Well, I was the one who got you into it.” A very sweet little moment that pays off years of antagonism in their relationship. — The STAR TREK TOP 13 Episode Countdown. Click here. — The Trippiest STAR TREK Topps Cards. Click here. 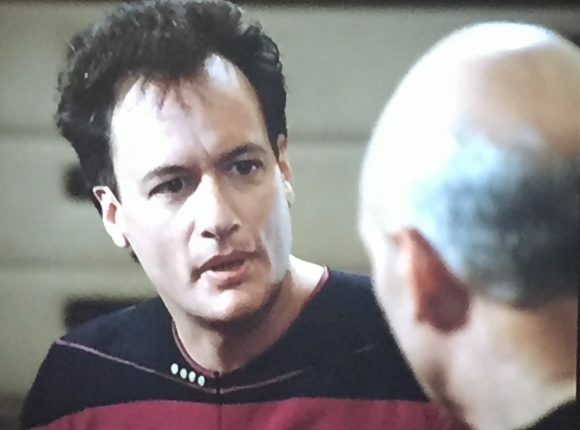 My favorite Q moment is the 2nd season episode “Q Who?” First, it introduces the Borg. Second, it’s basically a counterpoint to Roddenberry’s vision – all of Star Fleet’s ideals & procedures were completely useless against the Borg, and Picard has to plead with Q to save them. 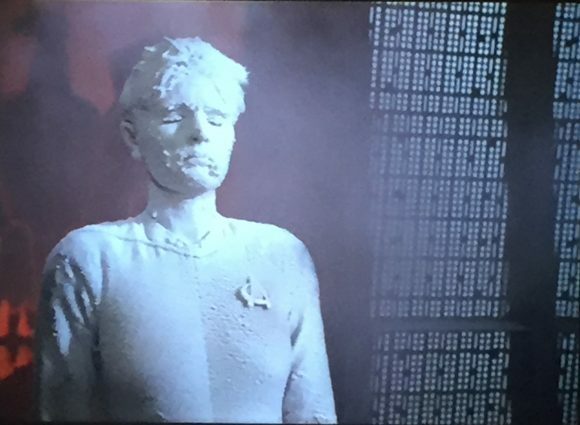 The would have never happened in the TOS and that’s the point I really started being aTNG fan – it wasn’t the same, old Star Trek.